BREAKING NEWS: Is Jesus really the Messiah, or is it all just fake news? Just a couple of years ago, the term “fake news” (#FakeNews) was unheard of, as was “alternate facts”. But now these terms have become commonplace in our society. So much so that now anything that we don’t agree with can easily be called fake news. If someone tells you that smoking is bad for you and you don’t agree, call it fake news! Want to eat an all fat diet and live to be 100 years old, but your doctor tells you it isn’t possible, just say fake news and all is good! We’ve reached a point in life where its easy to deny everything we don’t agree. And many people take that idea and run with it. But is this just restricted to health and politics, or can we also use it to address religious ideas? 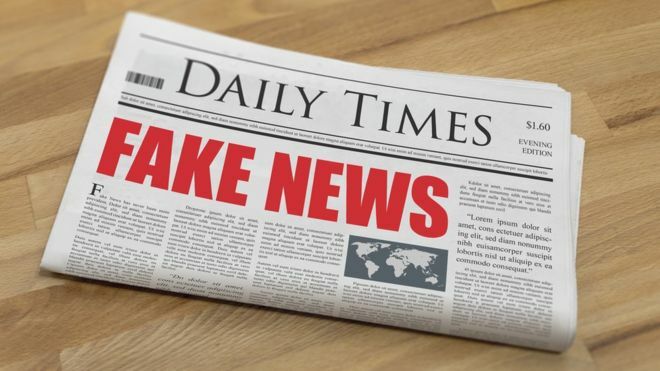 For more than 2000 years, some people have being denying the existence of Jesus Christ, and many who recognize that He did live say that calling Him the Son of God is #FakeNews! But what is the truth? So while Jesus was still alive, people didn’t believe who He was and accused Him of blasphemy or #FakeNews. And it continues today. Jews have never accepted that Jesus is the Messiah, and still await His arrival. Atheists insist that God doesn’t exist at all, and we’re all just the result of some sort of cosmic accident, which no one has a really good explanation for, and even some Christians don’t place Jesus in the exalted position that being the Son of God demands. So Christ proclaims it, and God, the Father proclaims it, but what about proof? The birth, life and death of Jesus Christ were prophesized about many times in the Old Testament. Prophets from Moses to Malachi declared the coming Messiah. Saying its going to happen, though is one thing, but actually predicting that things would happen hundreds and even thousands of years in advance is amazing. But even more amazing is that more than 350 Messianic prophecies were fulfilled by the life of Jesus Christ! There is no other event in history that has the amount of prophetic support. When Jesus was born, lived and walked amongst us, died, and then was resurrected three days later, He was and is the true Messiah, the Son of God, the King of Kings, and your saviour. Do not deny Him, do not call Him #FakeNews, accept Him, believe in Him, follow Him, and join Him into eternal life.